CHANTILLY, Va. – The Fairfax County Sheriff’s department is offering their expertise as they help families properly install car seats into their cars. 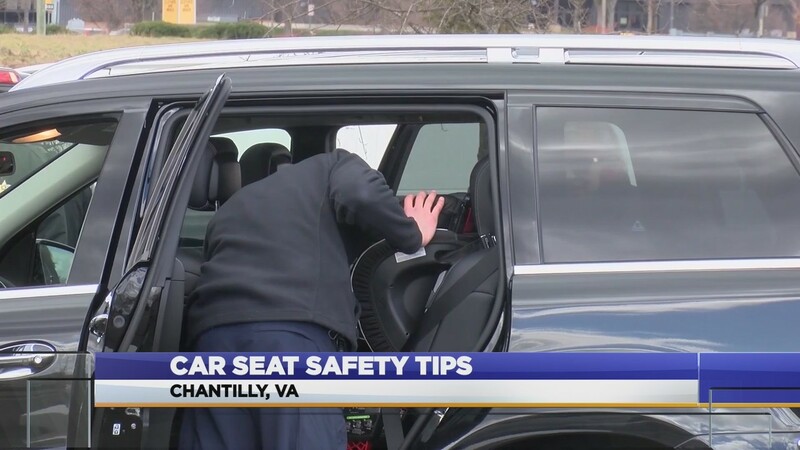 National statistics show a staggering number of kids are not properly restrained in their car seats, and this is why law enforcement agencies from all over Northern Virginia are giving tips and teaching parents the proper ways of installing car seats. Sheriff’s deputies say they check over 1,000 child safety seats every year and find that 80 to 90 percent have not been installed correctly and that is why they offer this free inspection. “What usually happens is that it’s either installed improperly or the parents just want more knowledge and more feedback on how to install it,is this safe for my child is there a different position as far as different locking system that’s safer,” said Sergeant Marcus Lively of The Fairfax County Sheriff’s Department. The Fairfax County Sherriff’s Department will be offering more free car seat inspections throughout the year.